Baptism is a symbolic act to publicly profess your salvation. 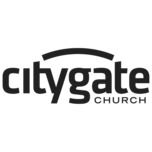 At CityGate Church, we believing in full-immersion baptism, symbolizing the process of death and resurrection that Jesus went through for us. Please let us know if you’re interested in learning more about baptism by choosing one of the two forms below depending on your age or age of the individual wanting to be baptized.